If you've ever thought you had a good idea for a new software feature for your phone but didn't think there was any point in sharing it with someone, now's your time to shine. OnePlus is running a Product Management Challenge (#PMChallenge) asking for your best new feature ideas, with some pretty decent prizes for the winner. To enter, you need to come up with something new that could be implemented in OxygenOS and then submit it in the form of a product requirements document, just like a real OnePlus employee would need to do. Formatting instructions and more detailed information can be found on this OnePlus forum post. While the process might seem a little complicated, the reward could make it worthwhile. The winner will not only get the new OnePlus device that launches with their feature (presumably the OnePlus 7) but also be flown out to the launch event and treated to a VIP experience. If you're a long-time OnePlus superfan, that could be a trip of a lifetime. Even if you're not, it would still be pretty damn cool. The deadline for submissions is February 22, so you've got a couple of weeks to hone your feature request and send it off. The competition to design a new OxygenOS feature is now over and a winner has been announced by OnePlus. 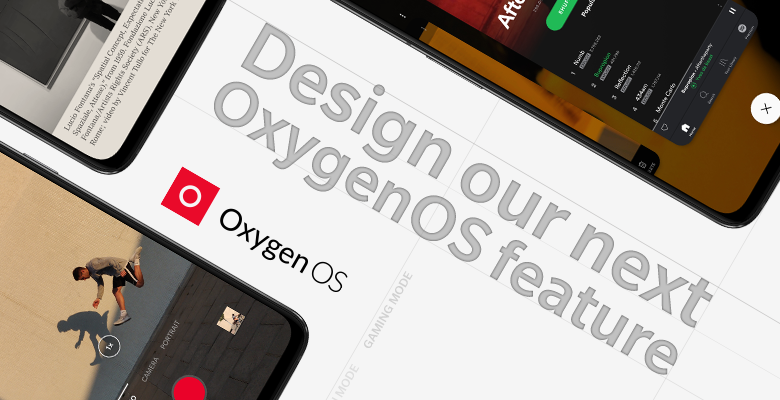 Léandro Tijink went the extra mile with his submission, building a webpage with mockups of how he'd like to see OxygenOS look in future and writing a forum post explaining his vision for more than 20 interface changes and improvements to the overall experience. Mostly focussed on making OnePlus phones simpler to use for people of all ages, Tijink's in-depth manifesto makes for an interesting read. OnePlus were rightly impressed with the not just the amount of time and effort put into the submission, but also the ideas on display — they'll work with Tijink to implement some of his ideas in a future OxygenOS release, and he'll also receive an all-expenses-paid trip to the company's next launch event. That'll be the OnePlus 7, then.